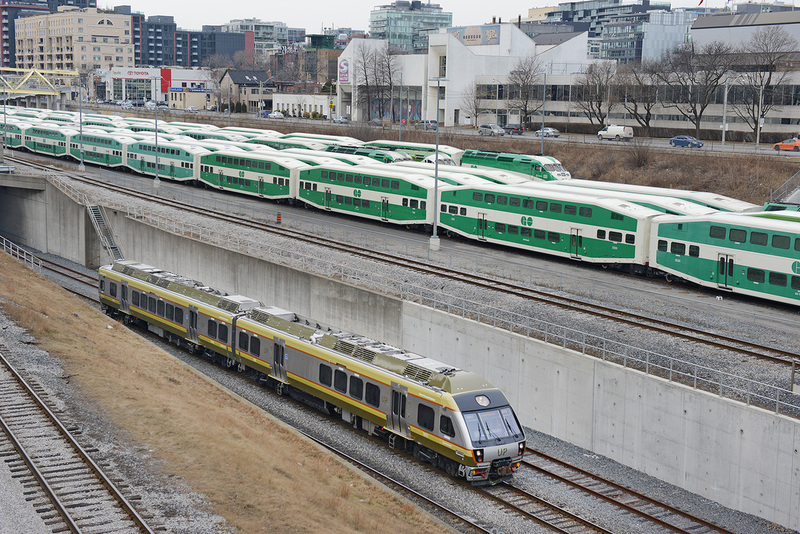 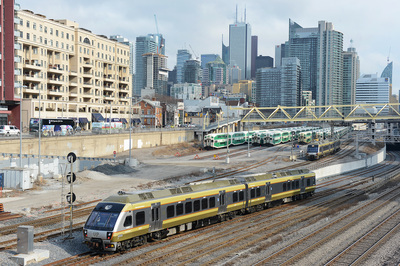 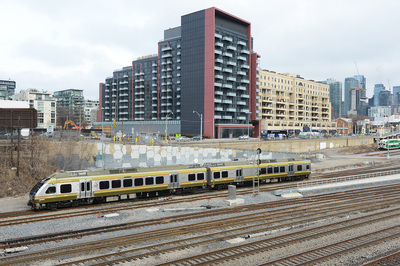 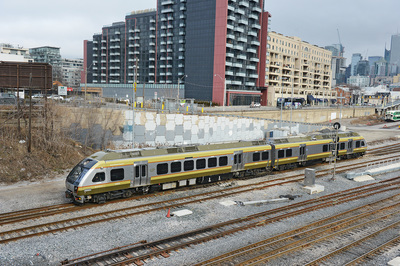 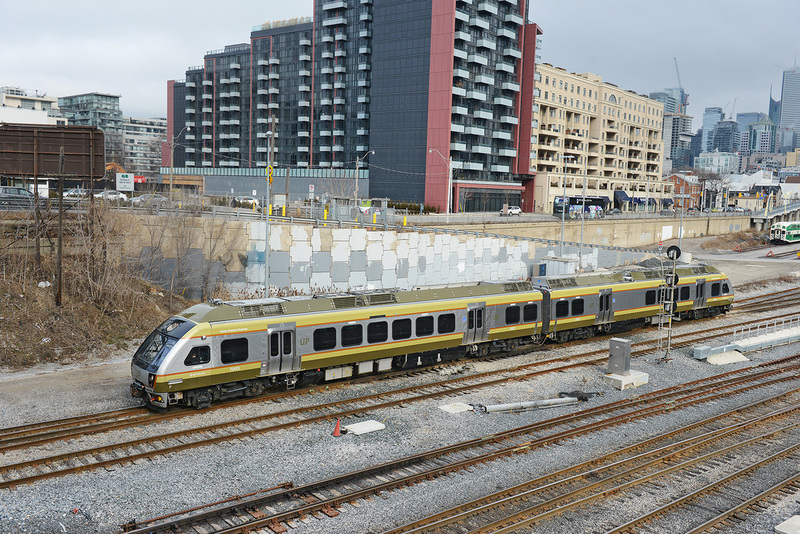 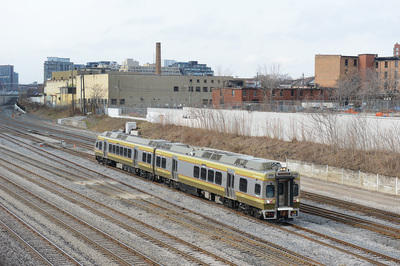 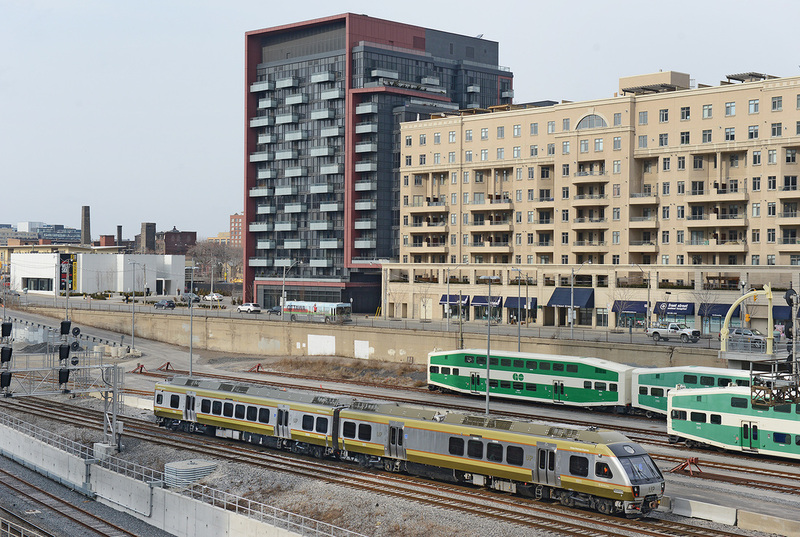 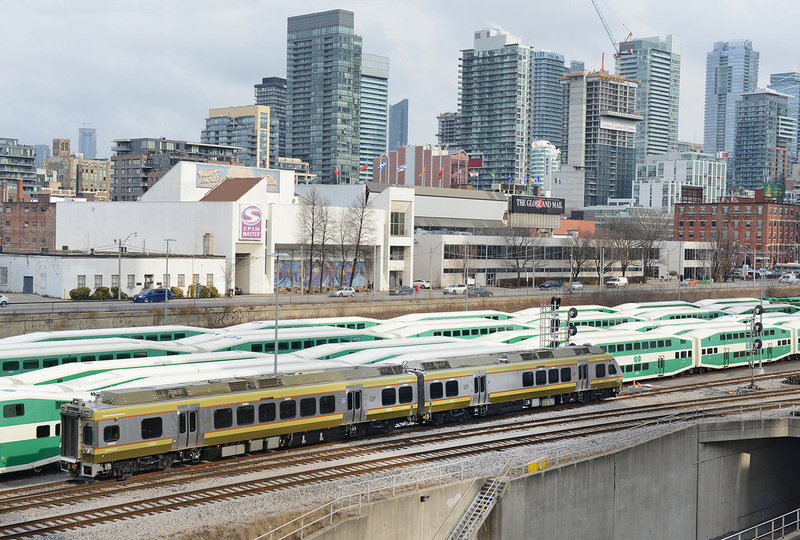 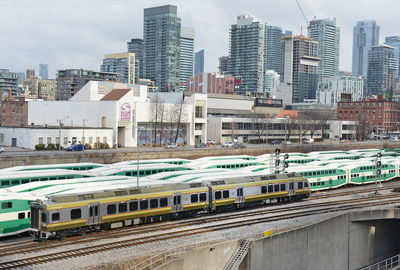 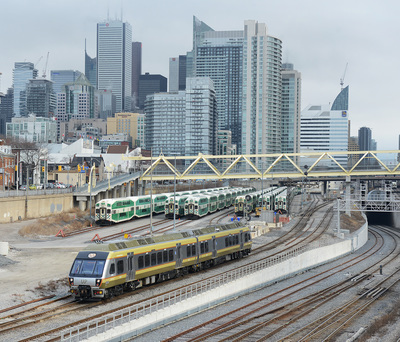 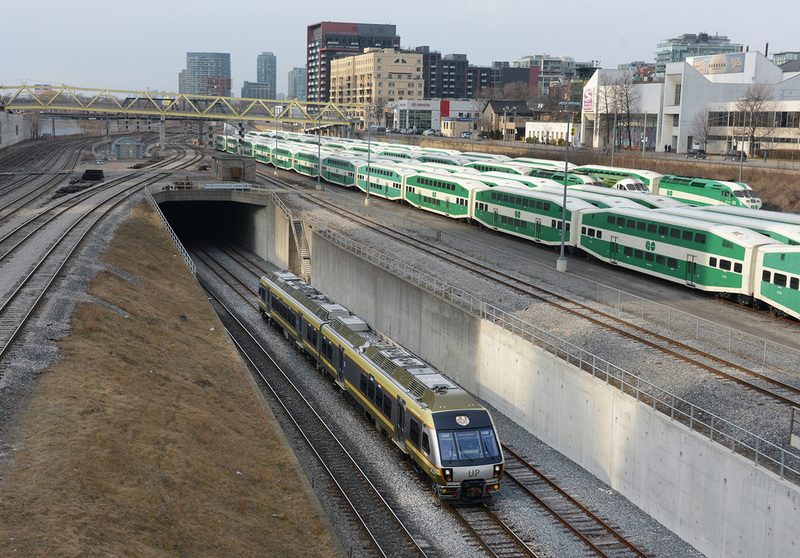 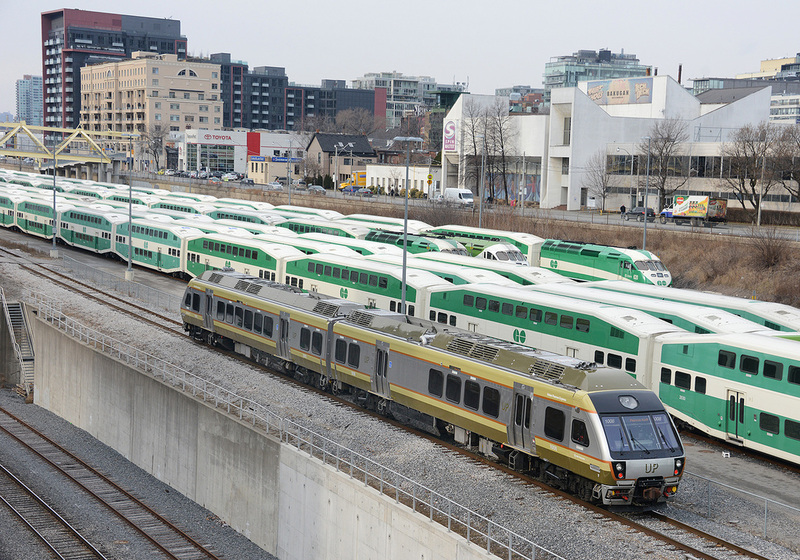 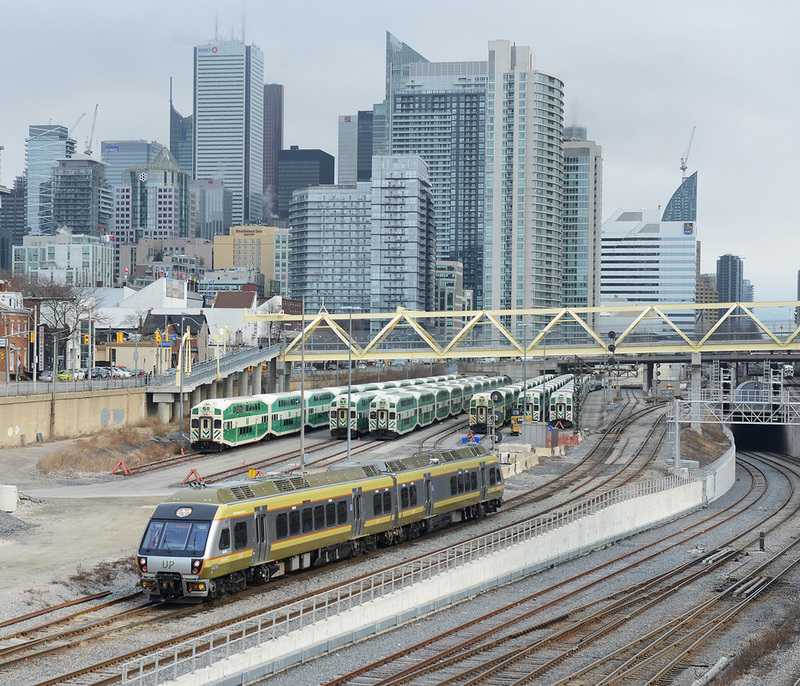 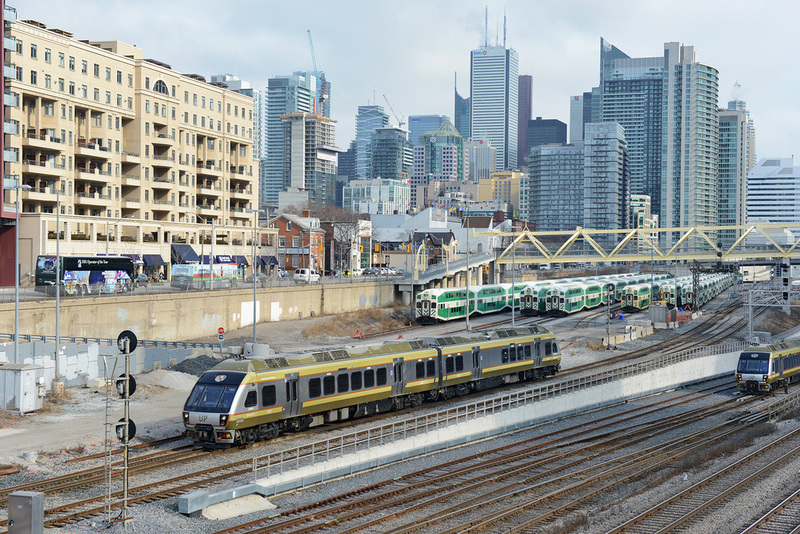 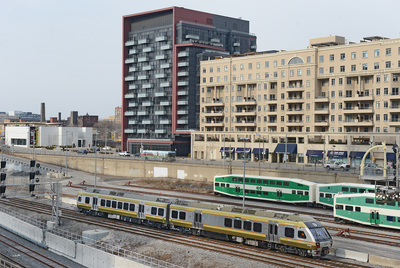 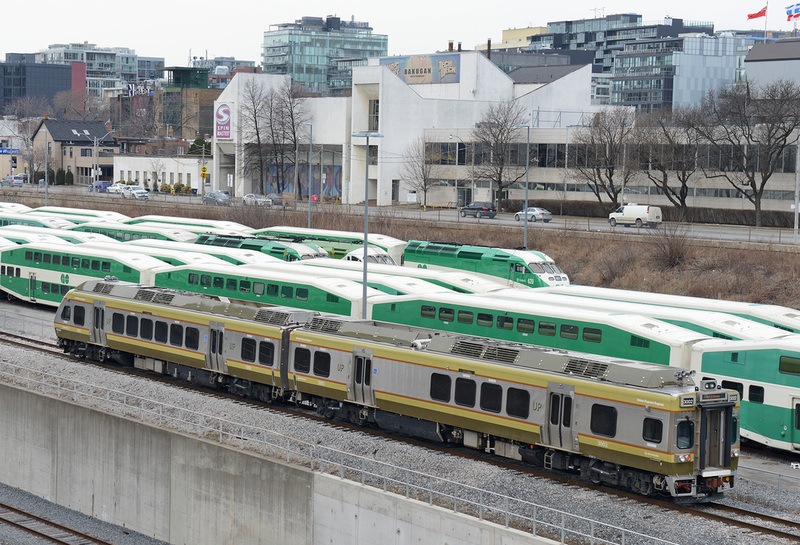 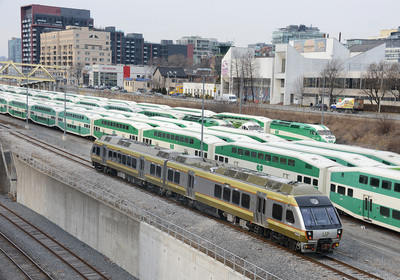 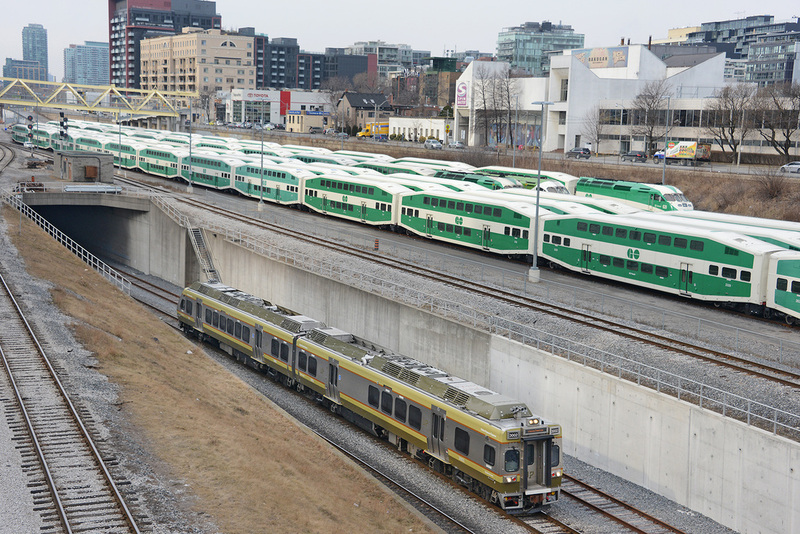 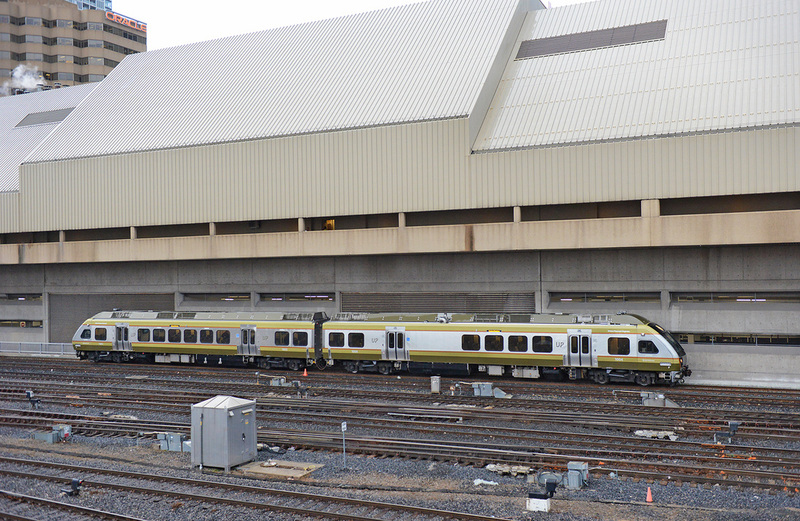 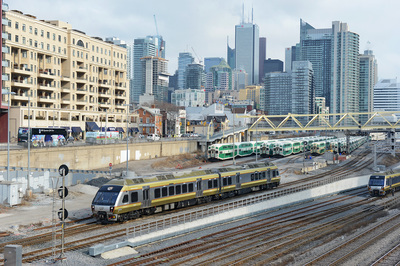 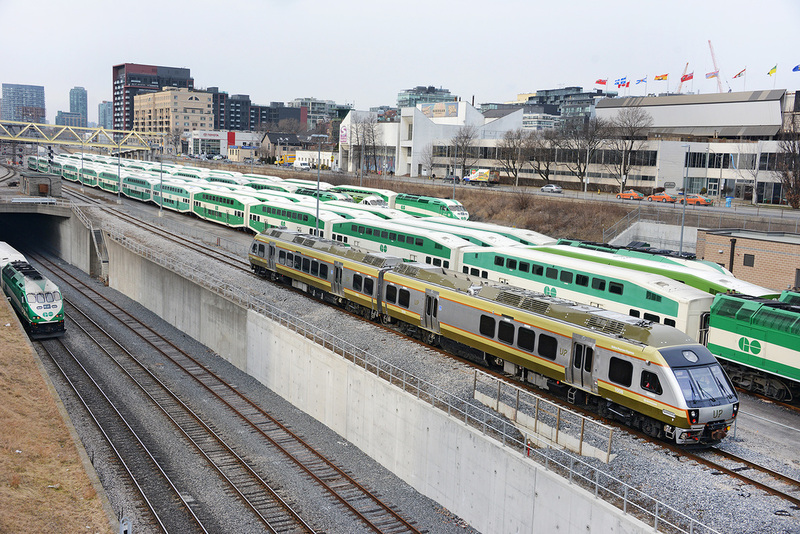 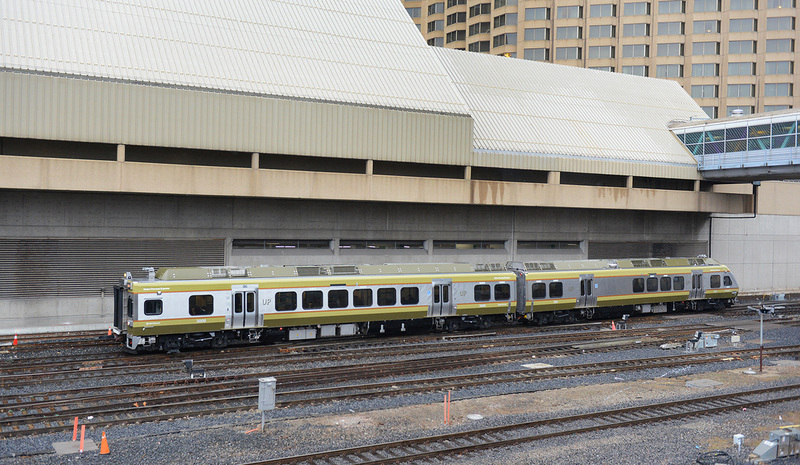 The latest passenger line in Canada is the new Union Pearson Express linking Toronto Union station with Pearson International Airport. 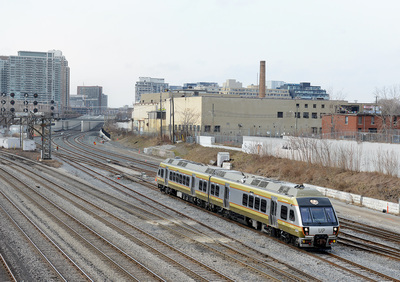 Operating every 15min from 05:00 to 01:00 the line is operated by a fleet of 18 cars, built by Nippon Sharyo. 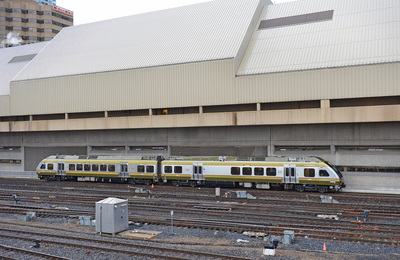 12 are single ended streamlined cars (Nos. 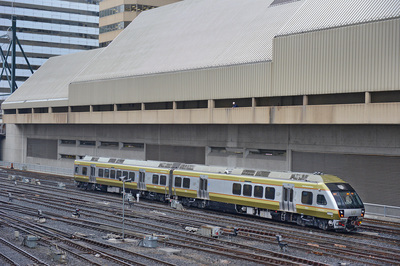 1001-1012) and 6 are slab end cars (Nos. 3001-3006) which can be used as end or intermediate vehicles. 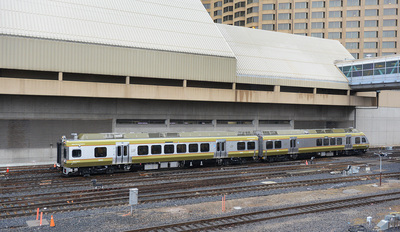 Trains can operate as 2, 3 or 4 car sets.